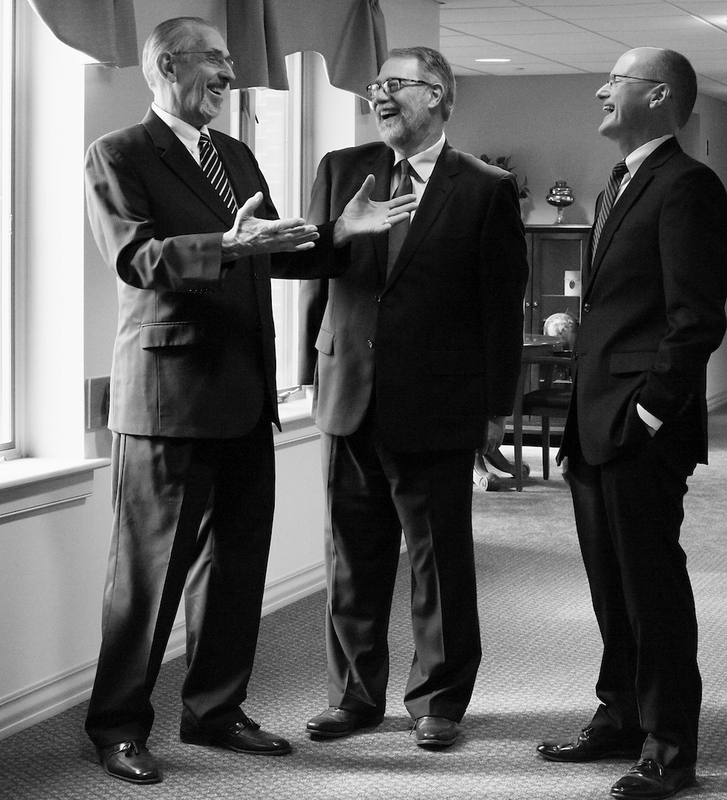 From left to right: George Kibler, Emerson Lesher, and Curt Stutzman share a laugh during a photo shoot for the spring edition of the Messiah Lifeways Magazine. The Historical Society will partner with Messiah Lifeways for this year’s annual meeting on November 5, 2016, at the Grantham Brethren in Christ Church, Mechanicsburg, PA.
Rev. George Kibler, Dr. Emerson Lesher, and current CEO Curt Stutzman will be featured guests in a night of storytelling as they share reflections, memories, and likely, some funny stories. 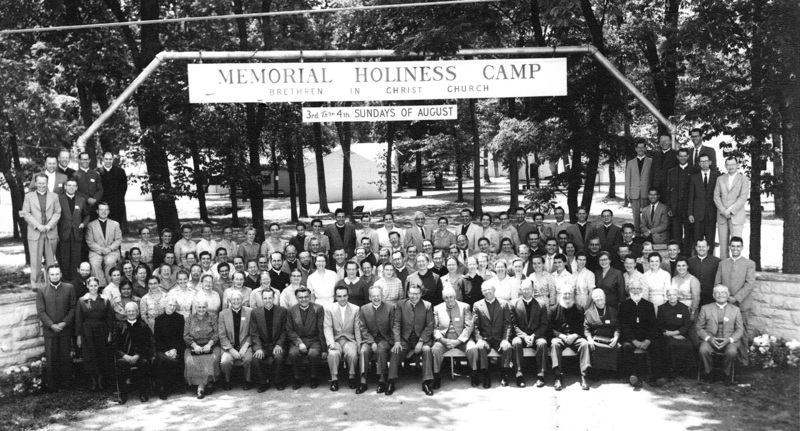 This idea was birthed as Messiah Lifeways planned its 120th anniversary celebrations this year. 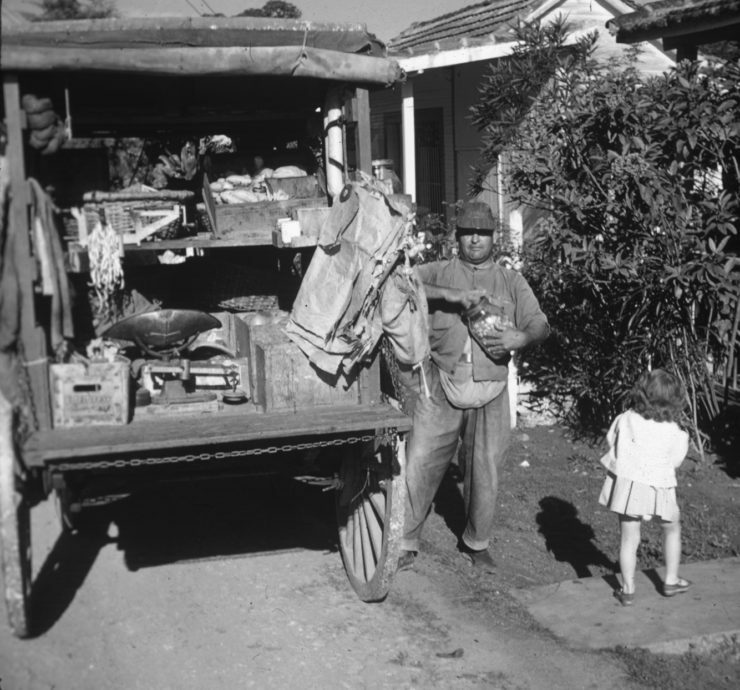 Although the organization has a long history of leadership, including many decades of stewards and matrons who served the Home on Bailey Street and at Paxton Street, only the last three are still living, giving us a unique opportunity. Messiah Lifeways’ three modern “chief executives” all live locally and have many attributes in common – from their connections to Messiah College to facing the challenges of construction! The dinner will begin at 5 p.m. in the Grantham Church Fellowship Hall. The storytelling program, slated to begin at approximately 7:15 pm, will be held in the sanctuary. 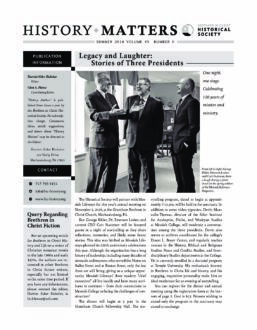 In addition to some video vignettes, Devin Manzullo-Thomas, director of the Sider Institute for Anabaptist, Pietist, and Wesleyan Studies at Messiah College, will moderate a conversation among the three presidents. Devin also serves as archives coordinator for the college’s Ernest L. Boyer Center, and regularly teaches courses in the History, Biblical and Religious Studies, Peace and Conflict Studies, and Interdisciplinary Studies departments at the College. He is currently enrolled in a doctoral program at Temple University. His enthusiastic interest in Brethren in Christ life and history, and his engaging, inquisitive personality make him an ideal moderator for an evening of storytelling. Register for the dinner and annual meeting. Cost is $15. Persons wishing to attend only the program in the sanctuary may attend at no charge. This portrait photo currently makes its home with John and Mary Ebersole who live in Akron, PA and attend the Speedwell Heights Brethren in Christ Church. The photo was a gift from Wayne and Alma Ebersole, John’s parents. 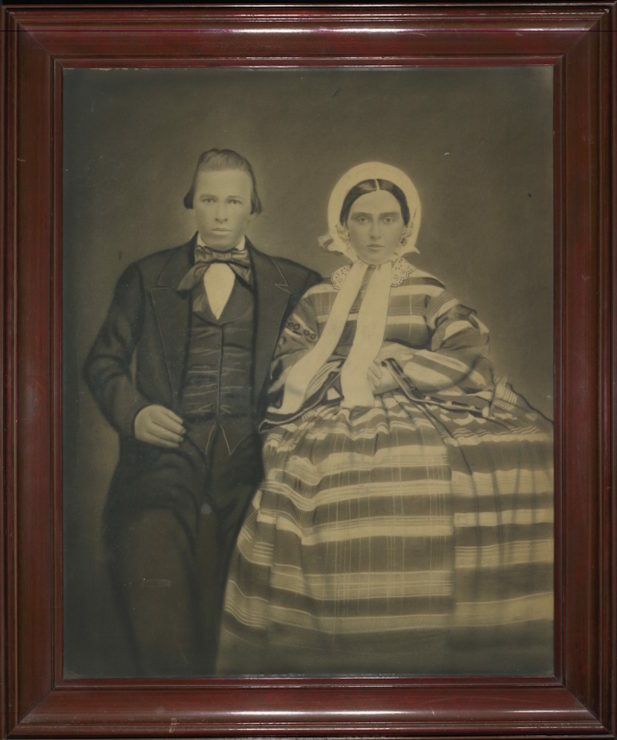 The couple in the portrait is Jacob and Annie Heisey Book, John’s great-great grandparents on his father’s side. Jacob Book lived thirty years, from January 5, 1840 to December 12, 1870; his wife Anna lived seventy-seven years, from April 22, 1843 to April 19, 1920. Jacob and Annie’s daughter, Mary Book (September 24, 1865-November 12, 1937), married John Funck (March 27, 1868-December 10, 1936). Mary Book Funck was Wayne Ebersole’s grandmother (John’s great-grandmother). Mary’s daughter Anna Book Funck (July 10, 1891-December 1, 1952) was Wayne’s mother, John’s grandmother. When you look at the photo carefully, it almost appears that the faces were photographed through “holes” in a photo backdrop that pictured formal dress (as in an amusement park). What process might have produced this effect? We would love to hear from readers who know something about photography of the mid-1860s and could help answer any of these questions or provide any additional information about the photo and the people in it. Email the editor if you have any information. Judy Hamilton, whose parents Howard and Pearl Wolgemuth were Brethren in Christ missionaries in Cuba from 1955-1960, recently contacted the Archives regarding 113 slides she had acquired, most of which were taken during the year that Dale and Betty Ulery and three of their children worked in Cuba (1954-1955). Below, Judy tells the story of how the color transparencies were saved from destruction and became part of the Archives’ photograph collection. The members of the Cuban church are very interested in learning of and preserving the history of the Brethren in Christ mission work in Cuba. After sharing some of my parents’ slides with them, one person suggested I contact the family of Dale Ulery to see if they had photographs. Dale, his wife Betty, and Janet, David, and Brenda had spent a year there while my parents prepared for their permanent assignment in Cuba. Thankfully, this historical material was spared and preserved for current and future interest and research. 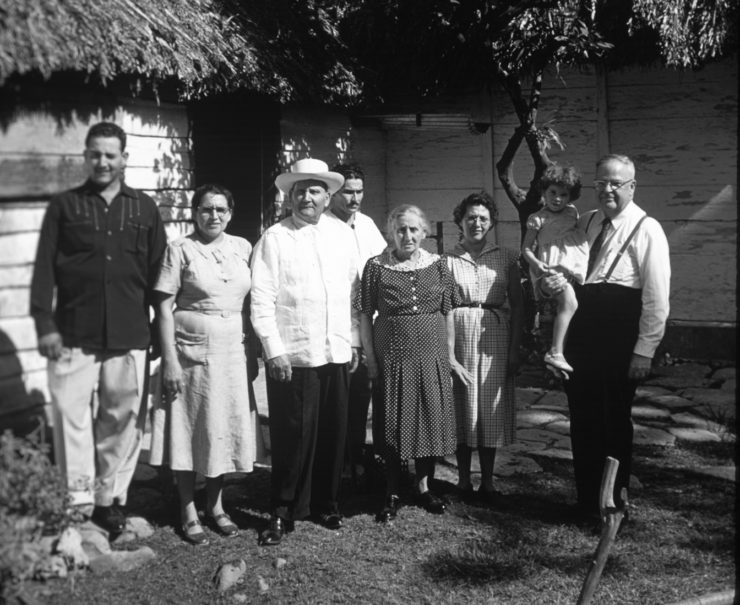 Juana Garcia (second from the left) and her family in front of the home of her parents and siblings in the countryside near the town of Catalina. Jesse Cassel of Ohio is on the right. After the Wolgemuths left Cuba in 1960, Juana gave leadership to the church in Cuba for the next several decades. 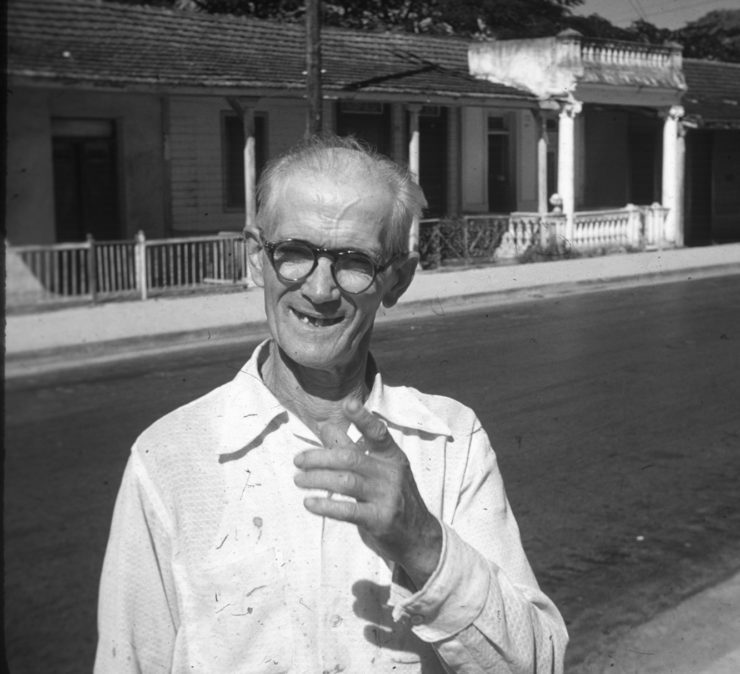 A man named Pastor Fantes made daily trips through Cuatro Caminos with his horse-drawn cart loaded with fresh produce and grocery items. His grocery scale was also useful for weighing newborn babies. Eduardo notes, “He was extremely abusive of his animals until he came to know the Lord through the ministry of Howard and Pearl Wolgemuth. It was an amazing and radical change.” He became a faithful member of the Cuatro Caminos congregation. For an upcoming article for Brethren in Christ History and Life on a writer of Christian romance novels in the late 1960s and early 1970s, the authors are interested in learning about other Brethren in Christ writers of fiction and their works, especially but not limited to the same period of time. If you have any information about Brethren in Christ fiction and writers, please contact the editor, Harriet Sider Bicksler.